A perfect balance of exotic tropical fruits, highlighted by luchees is combined carefully. The result is one of the most palate pleasing juice blends known to mankind. This e liquid is a mix ration of 90/10 VG and comes in 3mg & 6mg. Sold in a 30ml Multipack which is fully TPD Compliant. 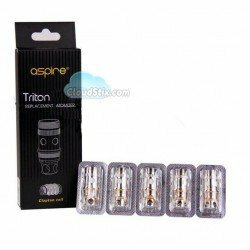 Aspire Clapton Coils for intense flavour. These coils are for advanced vapers only and should..
Mangabeys E Liquid This bright and fresh blend of Mango, Pineapple and Guava is accented by a myr.. 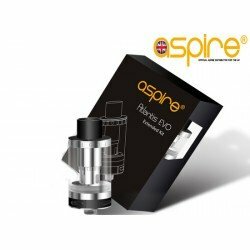 Aspire Atlantis EVO Tank The amazing Sub Ohm tank has launched by Aspire. This tank comes with a ..